Want to come across a bit edgier? 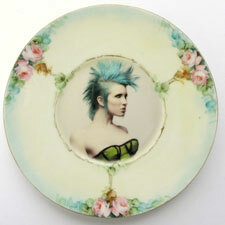 Let Etsy help you cultivate a punk sneer! 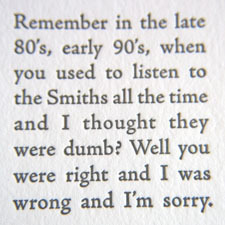 Step 1: Make scornful fun of your own music taste and that of others using exquisite and hilarÃ©Â letterpress cards. 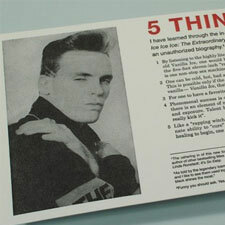 “5 Things I have learned from the in-depth reading of Ice Ice Baby: The Extraordinary Vanilla Ice Story, an Unauthorized Biography” card from rookery, or this incredible the Smiths card from kseniya. Step 2: accessorize a little ooky. You know, slightly Addam’s Family, slightly Ghost World. 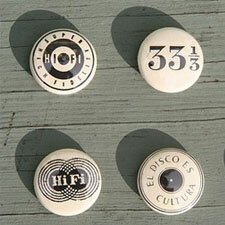 I recommend these old hi-fi pins from potatopotato with their beautiful vintage type. 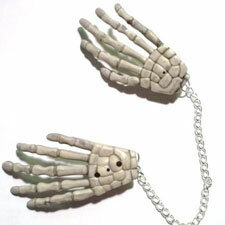 And/or this skeleton hands sweater clip from ItsASwindle — which of course necessitate wearing the right sort of sweater. Step 3: reference the cult canon. 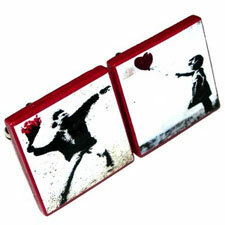 For instance, VenusFlytrapJewels‘ Banksy cufflinks (a pirate edition of renegade art. Be sure to point out the irony). 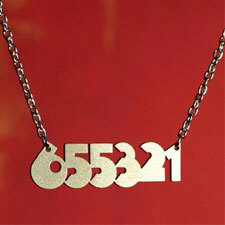 Or FableAndFury‘s Clockwork Orange prisoner number necklace, a reference so awesomely obscure it might as well be a tally of the cool points you garner by wearing it. Step 4: Don’t forget! 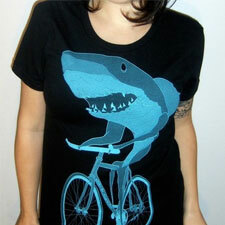 First, Prettiness can be punk (courtesy of BeatUpCreations) and, for god’s sake wear the shark shirt (courtesy of darkcycleclothing).